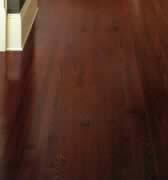 Hardwood flooring is recognized as a true natural product that an environmentally aware clientele is demanding. Canadian mills have broadened availability and quality of their product. 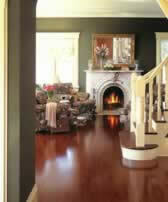 There is now a wide choice in 3/4-inch solid wood species such as red oak, white oak, cherry, beech, maple, birch and ash. Exotic woods, sourced from as far afield as South America, Africa, and Australia, complement the domestic woods with varied colours, allowing the introduction of distinctive borders and patterns.